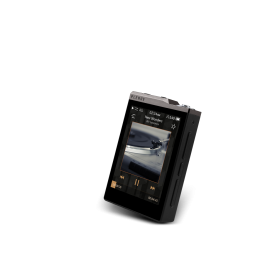 Following in the footsteps of PLENUE D, the critically-acclaimed portable hi-fi audio player, the PLENUE D2 was born of even higher specifications and upgraded performance. It's equipped with dual CIRRUS LOGIC CS43131 DACs and boasts high-quality balanced output and Native DSD playback for an even greater level of music appreciation. The stage is set for the perfect performance of the small-yet-powerful PLENUE D2 to once again capture the hearts and ears of music lovers. As the premier DAC in the MasterHIFI™ line of Cirrus Logic hi-fi audio products, the CS43131 DAC offers an unparalleled level of performance. CS43131 is a high-performance DAC with a built-in high-resolution headphone amplifier. The next-generation premium DAC merely sips battery power while delivering the best audio output. The PLENUE D2 is equipped with two top-of-the-line CS43131 DACs to bring you one step closer to analog sound. 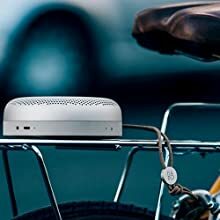 The digital input signal is converted by each discrete DAC, providing listeners with perfect sound as close to the original recording with zero noise. Balanced output effectively blocks noise generated when signals are transmitted by adding 'out of phase' signals to unbalanced output signals. Since it transmits two types of signals simultaneously, the PLENUE D2 strengthens the output signal for clearer and crisper reproduction of original sound. The PLENUE D2 uses 2.5mm balanced output to reproduce crisp original sounds. DSD(Direct Stream Digital) is a high quality Super Audio CD format that processes signals at 2.8224MHz per bit. The technology carries the maximum sound information possible to reproduce the delicate and crisp sound of analog. To realize the best possible sound quality, the PLENUE D2 reproduces DSD in Native method and supports DSD128. 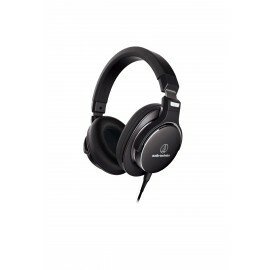 24bit/192kHz source recorded in studio provides the best sound, it has no signal loss and has outstanding resolution. 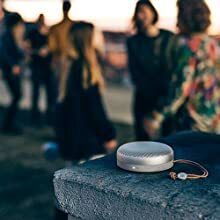 Enjoy a true HD Sound using 'PLENUE D2' that plays artist and engineer's intended sound without missing a single detail. and Balanced Output 4.0Vrms which are the result of our decades of audio experience and passion for perfection. The PLENUE D2 was created through our relentless effort to deliver perfect sound quality to listeners anytime and anywhere. (Signal to Noise Ratio)SNR, or signal-to-noise ratio, is a measurement for indicating how much noise is mixed into an audio signal. A high SNR value means a clearer, noise-free original studio sound. (Total Harmonic Distortion+Noise)THD+N is an indicator of signal distortion caused by various factors, including harmonics. A small THD+N value means a reduced occurrence of harmonic distortion on an audio device. Stereo Crosstalk Stereo crosstalk indicates the degree of interference between left and right channels caused by electromagnetic induction. A low stereo crosstalk value means less inter-channel interference for a clear separation of left and right channels. When we hear the music, acoustic signal picks up unavoidable noises as the signal processes to the output, the process leads to distortion in the original signal. This phenomenon can be expressed as a numerical value of SNR (Signal to Noise Ratio). SNR compares the level of a desired signal to the level of background noise. It is one of key criteria that can be measured to compare acoustic performances between one to another. If there is a difference of 6dB between two devices, there is a difference of 1 quantization bit in digital signal. For example, the device with 118dB has a loss of more than 2 quantization bit in digital signal, which leads to four times the amplitude resolution difference comparing to PLENUE D2 with 130dB. Therefore, to fully enjoy the HD Sound, a device must have excellent SNR figures. Having a poor SNR or THD means the device performs imperfect reproduction of the 24bit source, so there is no difference between playing 24bit source and 16bit source. COWON processed through intensive research and development period to achieve the best SNR, THD etc. 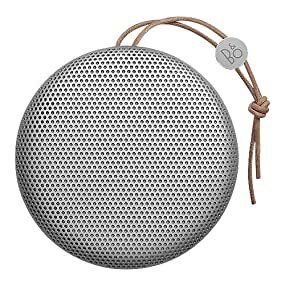 PLENUE D2 covers from basic specifications to advanced ones offering enhanced enjoyment of listening HD Sound to users. fine micro-tuning. This empowers listeners to tune sounds previously beyond the limits of hearing even with identical sound sources. 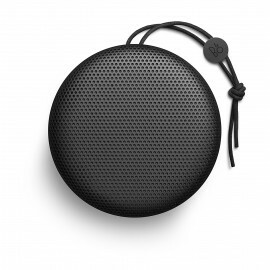 that delivers up to 45 hours of MP3 playback or 30 hours of HD audio from a single charge. mode to properly drive high-impedance headphones. flexibility when used in combination with various receivers. Sound includes a unique high frequency harmonics, and this unique harmonics pattern helps users to distinguish the each instrument. This high frequency harmonics reach our ears earlier than the normal frequency in live sound. Human brain recognizes earlier signal as more important signal, therefore high frequency harmonics is vital component in music. However, like speakers, headphones, and earphones, receivers tend to delay high frequency range rather than low frequency range, resulting in decrease in clarity and reality. Normally, equalizer or tone control is used to increase clarity and reality in sound, however this method cannot remove the delay of high frequency range to reproduce the natural sound. By applying BBE, phase characteristics of lower and middle frequency bands can be delayed comparing to high frequency band, resulting high frequency reaches human ears earlier than any other frequencies to make the same condition as live sound. Also, by gently expressing high and low frequency range, very dense and clear sound can be reproduced. 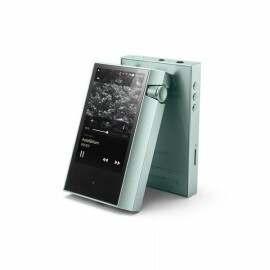 Immense Performance, Unassuming SizePLENUE D2 Following in the footsteps of PLENUE D, the critically-acclaimed portable hi-fi audio player, the PLENUE D2 was born of even higher specifications a.. Equipped with the latest ultra-high-quality ES9038PRO DAC of the ESS SABRE PRO series, the PLENUE L delivers the widest sound stage and realizes every minute detail to produce the ultimate in sound. 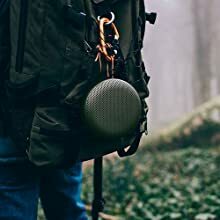 The PLENUE L comes to you with a sense of wonder, bringing with it 32bit, 384 kHz high-resolution sound as well as beauty and ruggedness reminiscent of the brass section of a classical symphony orchestra. As the flagship product of ESS Technology, the ES9038PRO DAC boasts the highest level of performance in the SABRE PRO series of DACs. Unlike other DACs designed specifically for mobile devices, the ES9038PRO is a high-performance DAC meeting the latest in SABRE PRO specifications and targeted toward professional recording studios, premium home theaters, and audio enthusiasts. It vividly reproduces sound closest to the original source, including 32bit, 384 kHz lossless/uncompressed and native DSD256 and DXD sources. The ES9038PRO DAC incorporates the latest 32bit HyperStream® II technology from ESS, delivering the best dynamic range in the industry and a highly-pure sound by realizing an extremely-low THD+N value even at low-amplitude signals. An 8-channel internal quad-DAC separates the eight channels for precise sound control, and each channel is converted via the four internal DACs to deliver a clear, noise-canceled signal so that you can enjoy a perfect sound close to the original source. The 4.4mm balanced output, the new standard in high-fidelity audio, supports richer output than the conventional 3.5mm unbalanced output. Greater left-right channel separation prevents crosstalk between left and right audio signals to deliver a very clear, realistic sound without distortion or loss. Balanced output effectively blocks noise generated when signals are transmitted by adding 'out of phase' signals to unbalanced output signals. Since it transmits two types of signals simultaneously, the PLENUE L strengthens the output signal for clearer and crisper reproduction of original sound. 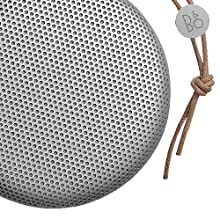 The PLENUE L uses 4.4mm balanced output to reproduce crisp original sounds. We developed an optimized digital path circuit that supports 32bit, 384 kHz sound sources and equipped the PLENUE L with an independent CPLD(Complex Programmable Logic Device), which supports fast operations and minimizes noise by optimizing bus and group unit digital signal processing. and Balanced Output 4.05Vrms which are the result of our decades of audio experience and passion for perfection. 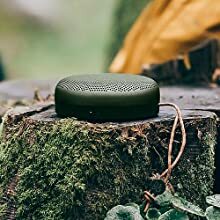 The PLENUE L was created through our relentless effort to deliver perfect sound quality to listeners anytime and anywhere. SNR, or signal-to-noise ratio, is a measurement for indicating how much noise is mixed into an audio signal. A high SNR value means a clearer, noise-free original studio sound. Stereo crosstalk indicates the degree of interference between left and right channels caused by electromagnetic induction. A low stereo crosstalk value means less inter-channel interference for a clear separation of left and right channels. THD+N is an indicator of signal distortion caused by various factors, including harmonics. A small THD+N value means a reduced occurrence of harmonic distortion on an audio device. The ultra high precision clock precisely matches the 44.1kHz and 48kHz series sound. 32bit HD audio files and ultra-high-quality sound formats such as DXD and DSD typically require a large amount of storage space at more than 200 MB per song. 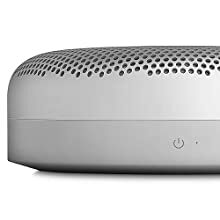 The PLENUE L provides 256 GB of high-speed storage and supports microSD cards up to 256 GB, making it ideal for storing high-quality, high-volume sound sources. One requirement for achieving perfect sound is a high-performance amplifier that is optimally compatible with high-end receivers. Texas Instruments' high-performance SoundPlus amplifier delivers high voltage while maintaining the highest level of linearity—a significant step up in audio technologies from existing versions of amplifiers. With a maximum output of 4.05Vrms, the amplifier generates powerful performance capable of driving high-end headphones with high impedance without the need for a separate headphone amplifier. Now, sophisticated and precise sound tuning makes it possible to clearly express any frequency range in combination with a variety of receivers. * AI Volume normalizes volume levels based on Normal Preset. The PLENUE L provides a wider variety of digital filters than ever before for fine-tuning the ES9038PRO DAC. Hybrid, Fast Roll-Off, Minimum Phase Filter I Brickwall Filter) for realizing transient signal responses in the time domain. This empowers listeners to tune sounds previously beyond the limits of hearing even with identical sound sources. We designed Dual Control Wheels that offer users a variety of experiences--the Volume Wheel for incremental adjustments to sound and the Multi Wheel that controls other analog functions. The wheels are located on the top of the device to prevent accidental adjustments during handling while allowing positive control of volume and other functions. The Multi Wheel on the left conveniently controls functions related to music listening and device operation, while the Volume Wheel on the right allows the volume to be fine-tuned (140 steps in 0.5dB increments). The PLENUE L's Dual Control Wheels are the future of analog wheels. The PLENUE L supports a variety of audio formats, from 32bit, 384 kHz lossless/uncompressed AIFF to lossless/compressed formats such as FLAC, ALAC, and APE, as well as other popular formats including WAV, MP3, WMA, and OGG. Also, the device supports DXD(352.8/384kHz) and Native DSD256(11.2MHz) format to offer wide range of high quality sound formats. PLENUE L adapted luxurious OP AMP, high performance capacitor, high precision resistance, etc., to be able to support high end headphones and earphones perfectly. Also the player supports an optical OUT to provide lossless output data with wider variety of devices and receivers. Experience the HD Sound with the Hi-Fi receivers. PLENUE L offers more fast and reliable system by implementing dual core CPU and optimizing the software. Cortex A9 1.2GHz dual core CPU, used in various smart device, is equipped in the device to maximize the booting speed and performance, to operate high definition GUI and to play the large volume sound source without any load. PLENUE L chose audio friendly Embedded Linux system to accomplish the perfect high quality HD Sound. COWON's Embedded Linux is proved in many audio devices over the decades. Therefore hardware is highly optimized by using the Linux system, this optimization allows the device to provide stable high quality sound system. PLENUE L supports USB DAC Function to enable clean and sharp PC Sound. 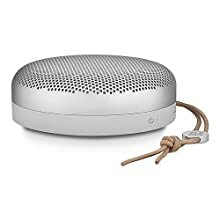 PLENUE L can be connected with PC via USB Cable and works an external DAC. Enjoy PLENUE L's evolutionary HD Sound on PC. 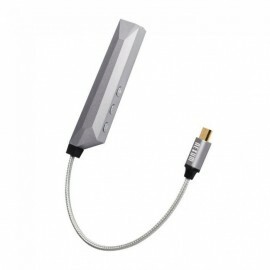 * 16bit, 44.1 to 192 kHz and 24bit, 44.1 to 96 kHz output is supported when using the USB DAC feature. Playback may be interrupted depending on your computer's data throughput capacity. To enjoy HD Sound delicately, PLENUE L provides 140 levels of volume control. Fine volume adjustment is possible to change 0.5dB per one level, therefore you can enjoy the music at an optimum level. 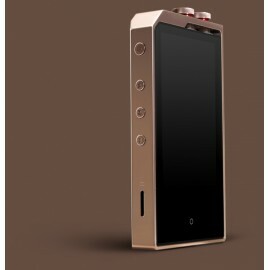 Conveniently adjust the volume by turning the Volume Wheel or dragging up or down on the volume control screen. PLENUE L comes with a full touch screen, 3.7" AMOLED Display, and an intuitive control GUI to maximize the convenience. Touch & Drag Browsing and Equalizer setting is designed to operate with touching the display only. In addition, various playing functions are provided with physical buttons to offer the maximum comfort to users. Also various designs of Matrix Browser and Player Skins, high quality AlbumArt View, and Stereo Level Meter add a visual enjoyment as well. 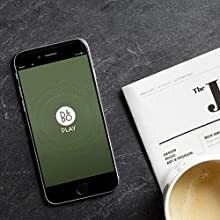 Designed to deliver the utmost convenience in a portable Hi-Fi player, the PLENUE L features physical buttons for power, volume, playback, and search so operation is easy and positive, even when in a pocket. The home multi button allows quick access to playback, playlist, and settings screens. Listening to music will be even more fun with support of lyrics format that incorporates a variety of information. Various information of music can be checked by 5 different lyrics formats such as LRC, LDB, Lyrics3, ID3 Tag lyrics (time information available). PLENUE L supports Gapless and Remove Silence functions to minimize the waiting time between the tracks. Gapless removes the gap between the tracks and is applied in all situations without any special settings. In addition, Remove Silence removes up to 500ms of silence end track and the start of the track. Multi-Favorite offers the convenience of saving your favorite music in multiple playlists, which allows creating more diverse music lists depending on users' tastes. Even with a large number of music files, users can easily find and listen to the music that they want, by using the keyboard in Searching function. The PLENUE L's design reflects a modern interpretation of brass instruments, channeling their brilliant color and unique characteristics into an analog design concept that expresses the softness and depth of classical instruments. An Instrument, Not a DevicePLENUE L Equipped with the latest ultra-high-quality ES9038PRO DAC of the ESS SABRE PRO series, the PLENUE L delivers the widest sound stage and realizes every minute ..